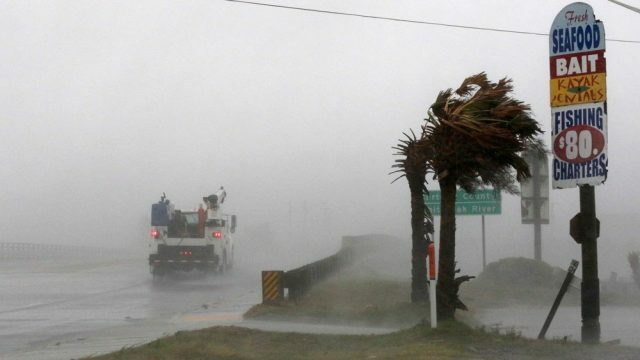 A killer storm that left up to 13 people dead weakened to a tropical depression on Sunday, but US authorities warned the devastation it caused — including catastrophic flooding — is far from over. Most of the fatalities from Florence, which made landfall Friday as a Category 1 hurricane, have occurred in North Carolina, where officials confirmed eight victims. They included three who died “due to flash flooding and swift water on roadways,” the Duplin County Sheriff’s Office reported. A woman and her baby were among the first casualties when a tree fell on their house, contributing to a death toll that US media said had reached 13 — 10 in North Carolina and three in South Carolina, according to CNN. 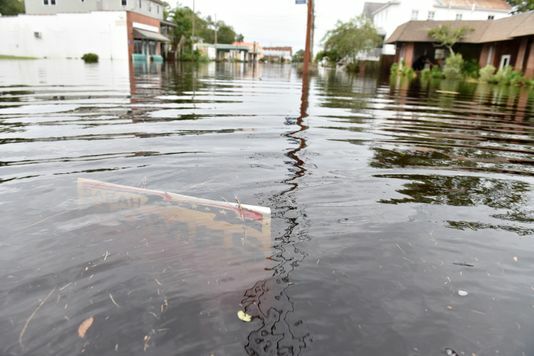 Steve Goldstein of the National Oceanic and Atmospheric Administration (NOAA) said some areas have already received two feet of rain and could expect up to 20 inches more as the system moved “slowly, nearly stationary” over eastern North Carolina. Charles Rucker, a retired teacher, had only spent five nights in his newly-purchased house, built in 1830, when Florence struck. “It was like a bullet train coming through the living room. Nothing I ever experienced before, I was truly scared,” he told AFP. “We have 4,200 damaged homes,” Mayor Dana Outlaw told CNN. The doors of many houses suffered so much wind damage they appeared to have been kicked in, while the city’s beloved fiber-glass bear statues, which are sponsored by local businesses, were floating down streets. CNN also reported a man and a woman died in South Carolina’s Horry County due to carbon monoxide poisoning. President Donald Trump tweeted late Saturday that “five deaths have been recorded thus far,” and expressed sympathy to the victims’ families. Besides federal and state emergency crews, rescuers were being helped by volunteers from the “Cajun Navy” — civilians equipped with light boats, canoes and air mattresses — who also turned up in Houston during Hurricane Harvey to carry out water rescues.